Taking into consideration the amount of time employees spend in their offices on a daily basis, it’s clear that one of the main preconditions for their overall well-being and productivity is creating a work environment that is pleasant and comfortable to work in. Employees’ satisfaction, dedication, and creativity are directly linked to their surroundings, so contemporary office designs should focus on being not just inspiring and motivating, but also providing optimal comfort for an unhindered work process. As temperatures around the globe are rising, the need for thermal comfort in offices is growing as well. However, even with technological advancements, this idea is not always easily realized. 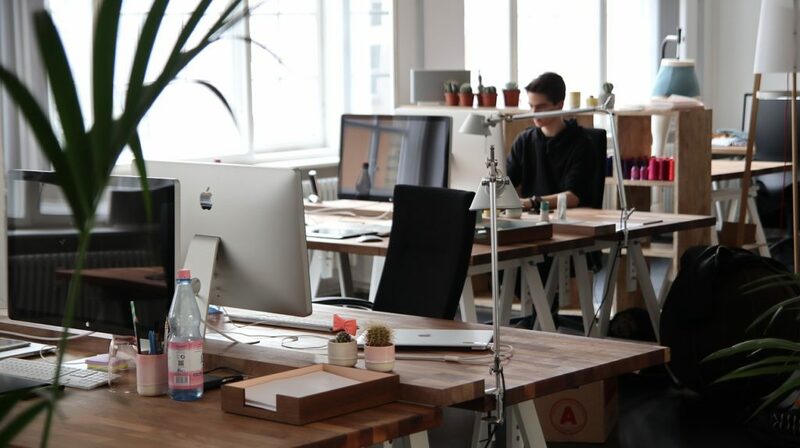 More electronic equipment means additional heat is generated inside, and each employee is different when it comes to their metabolic rate and subjective feel of thermal comfort, thus it’s sometimes impossible to find the optimal temperature in an office. Relying simply on HVAC systems is also not enough, as the BTU equation neglects specific office modifications made to accommodate cubicles as well as the heat from all the electronic devices. It also disregards shade and exposure to the sun and the orientation of windows. All of these factors need to be considered when thinking of solutions to improve the thermal comfort in an office; here are several aspects to bear in mind. The first step in enhancing the thermal comfort indoors is upgrading the wall and roof insulation. In most commercial buildings, internal walls are wooden, thinner than exterior ones and also very lightly insulated, which allows the heat to transfer throughout rooms much easier. In addition, depending on the office’s position within the building, the roof can also be a constant heat source, which will also facilitate indoor heat transfer. By upgrading both exterior and interior insulation, you’ll be able to improve your building’s energy efficiency and thermal performance. The benefits are obvious: not only will the life expectancy of the building increase, but its aesthetic impact will improve, as well as the overall indoor comfort. In addition to wall insulation, another important factor in thermal performance is the orientation of windows and their exposure to the sunlight. Offices that face south receive significantly more sunlight than those with north-facing windows. On a global scale, average sunlight is about 164 watts/square meter in a 24-hour period. Understandably, this varies greatly depending on the latitude and longitude of the location, but having this knowledge can offer a seasonal estimate of sunlight heat generation. This greatly affects both the heating/cooling system and workplace conditions indoors. Exposure to sunlight can be somewhat controlled and modified with clever window design. For instance, their placement depth can reduce direct exposure to sunlight by creating shadow. What is more important, the type of windows you install will have a major impact on heat loss and gain. By installing high-quality windows, as the ones offered by these Perth-based double glazing experts, you will be able to maintain a comfortable room temperature all year long and significantly raise the level of thermal comfort and efficiency. It’s commonly known that cold air settles down and hot air rises. What is unknown to most people is the fact that inlet/outlet placement can prove to be quite consequential in this aspect. By installing an outlet duct in the opposite direction, you can greatly increase the air turbulence in the room. Fundamentally, if you find the most optimal location and direction for outlet and inlet ducts, you will have the opportunity to decrease the costs of removing hot and stale air indoors. The benefits of office retrofits and thermal improvements are numerous: energy is used more efficiently, utility bills are cut, working conditions are improved and overall employee satisfaction, comfort, and productivity are raised. The end result is a pleasant, comfortable and environmentally-friendly surrounding that is beneficial to both the workers and the owners.